How old is our village school? What were Victorian school inspections like? 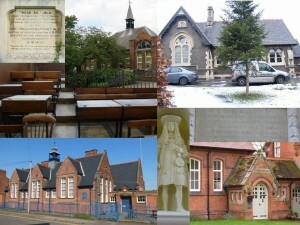 Why is our village school called a Church of England primary school? the chapter on education in volume III of the Victoria County History for Leicestershire, available in many local libraries or at the Record Office for Leicestershire, Leicester and Rutland. your local reference library and the Local Studies Library at the County Record Office, where you may find published histories of individual schools. P. Horn, Education in Rural England, 1800-1914 (London, 1978) [or anything else by this author, e.g. The Victorian Country Child (Stroud, 1985), chapters 2-4; The Victorian and Edwardian Schoolchild (Stroud, 2010), chapters 1 and 6]. B. Simon, ‘Local grammar schools, 1780-1880’, pp. 130-155. M. Seaborne, ‘William Brockington, Director of Education for Leicestershire, 1903-1947’, pp. 195-224. K.D.M. Snell and P.S. Ell, Rival Jerusalems: The Geography of Victorian Religion (Cambridge, 2000), chapter 9.